We were working on one, but not enough of the figures we're going to be bought. Leaving one person to buy the majority. I would have been that person if we could have sold 2-3 more out of the lot. It was more like 4 or 5 (Let's not forget the mystery figure Russ was interested in) but who's counting. Still a big burden on you Youth. The seller is just not interested in budging off a lot sale. Until that changes or someone comes along to buy the lot on eBay they will sit. I am interested to see what he will do once this listing ends. Wondering how Come the listing has not been removed from ebay? Wasn t he making a deal here? And....they are gone. Ended a few days early. How often do they show up on ebay? Anyone got a good deal on a Novo from there? In late 2016 through mid 2017 there were some Novos on eBay. There was even a particularly large lot of 10 figures or so. Since mid to late summer it has been pretty dry though. A few figures here or there. Prices are typically market circa 2015 or 16. There was a Canadian seller who had a group of four or five figures he was selling for about $180 (U.S.) if nobody bid the auction up. That's where I got my blue Mickey from and thought that was a decent price. It certainly doesn't seem like the glory days I have read about that's for sure. just looking over these threads and it looks like the big lot was lost.. did any of these figures make it into UG members hands? the huge lot i even remarked 2400 was a decent lot price and a few were trying to gather 2500 plus shipping. There weren’t enough people interested, and a few collectors wanted the same toy. I second that...lI tried to get a pool off buyers. A few were interested but not enough. The seller implied that there was some other interest. I bet someone bought them because the seller likely would have eventually broke them up if they didn't sell as a lot. Crazy, all those S2 figures and no series one sculpts. well dang back into the wild they go.In other news I finally got me a checklist and baggy for my series 2! woot woot. Have to update the shadow box this week. It's has been some time since my last post. Any love for Cheap Toys Series 2 box? Would pay so much for that box. We could buy it together and split it, all I need is the top flap. Haha, as “fair” as that would be, I could never mutilate that nearly perfect specimen. Anyone knows who did the art on the s2 ct box? Bukimi kun OS1 or censored version for trade or sale. Was it up for sale? 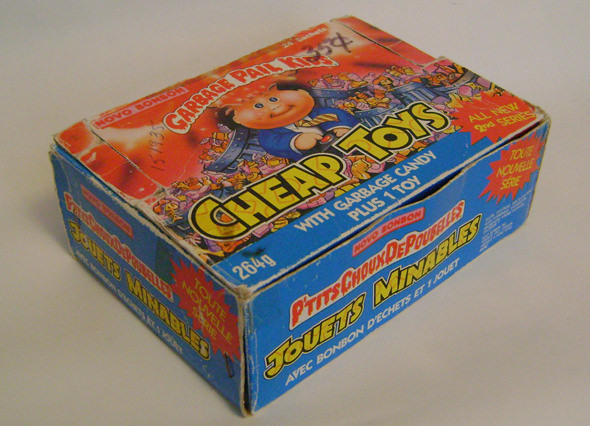 I have a Cheap Toys series 2 wrapper, checklist and twist tie for sale if anyone is looking. I have three sets, but if you have any spare S2 figures I need, I’d love to talk about those. Hey, don't have anymore S2 figures. Just looking at selling off the remainder of my cheap toy items.